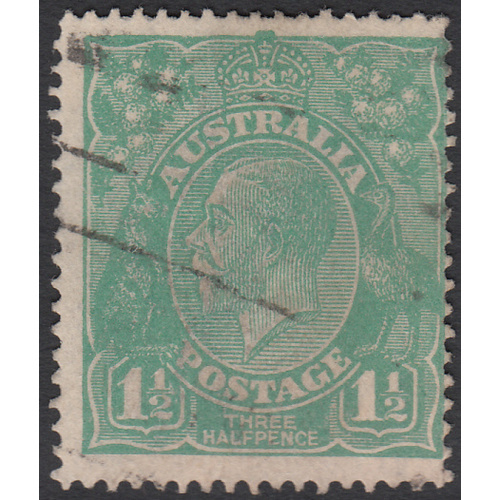 Australia KGV 1923, 1&1/2d Green, Single Watermark, variety 12R6, (Diagonal scratch across 'Roo and Left Value Shield) in Good Used condition with no faults. 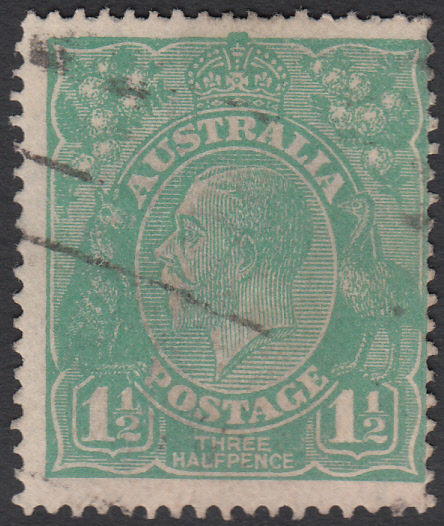 Off-center to the right with a machine cancellation clear of most of the variety. 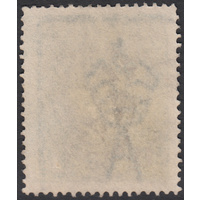 Top and right marginal watermark lines present. 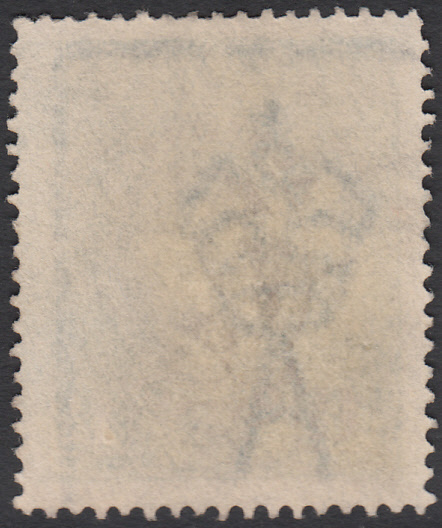 BW 88(12)k.